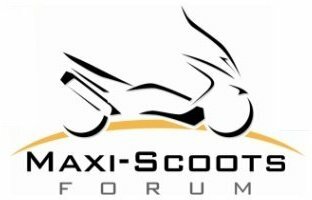 Maxi Scoots > Riding > Past Maxi Scoot Rallys > 2012 Maxi Scoot Meet Up (Moderator: SilverBullet) > Rally General Discussion. We can use this thread to discuss anything pertaining to our rally. First off I want to thank Maggie for organizing this. Theirs a lot of behind the scenes work involved here. Without her hard work thie wouldn't be happening. So a BIG THANK YOU to you Maggie. I am getting so pumped up for this event! For various reasons. Its going to be so nice to meet all you good folks I've been conversing with over the years here. I've been through PA years ago but never spent any time there. My riding buddy Charlie says theirs some of the best riding roads in the country there. Looking forward to trying some of Steves rides & want to see Centralia. Diane & I are actually planning to come a couple days early to spend some extra time there. Never stayed in a tent cabin before. Should be interesting! I'm planning on bringing the GoldWing. Have to see how it fits on the trailer with Dianes bike. I promised Norm he could ride it. So ya better come Norm!! And so folks can see how it turned out in real life. Hopefully it should be pretty nice by then. I have been thinking about this rally quite a bit. It's going to be great to meet so many members I've come to know through this forum. Lou the tent cabin is quite nice, you even have electricity. Very comfortable. Same here, we are super excited. Are plans are to get to Steed Steeds on Tuesday. We are leaving Labor Day and will stop in Westerville, OH to visit some friends for supper and then head on over to PA on Tuesday. Same here, we are super excited. Our plans are to get to Steed Steeds on Tuesday. We are leaving Labor Day and will stop in Westerville, OH to visit some friends for supper and then head on over to PA on Tuesday. Will be so great to see "old" friends again and put some faces to new friends!